Welcome to my dark side! 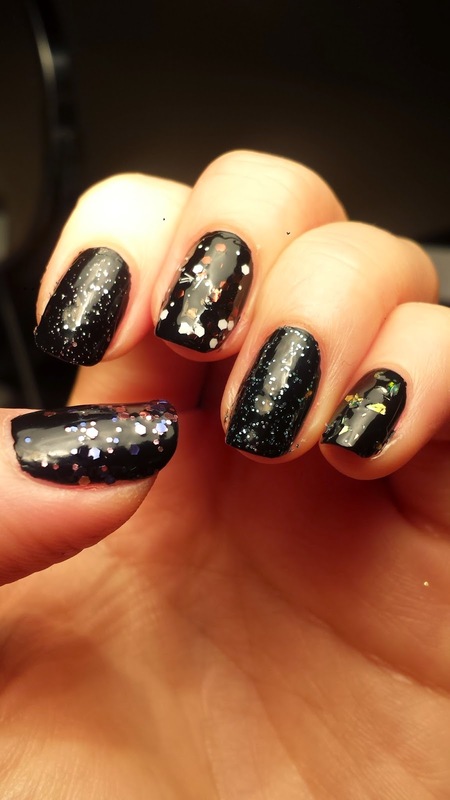 I always have a thing for dark polishes (who am I kidding, I have a thing for ALL colors!) But sometimes I feel more sophisticated with dark colors. Here I am experimenting with different glitters on a black polish base. 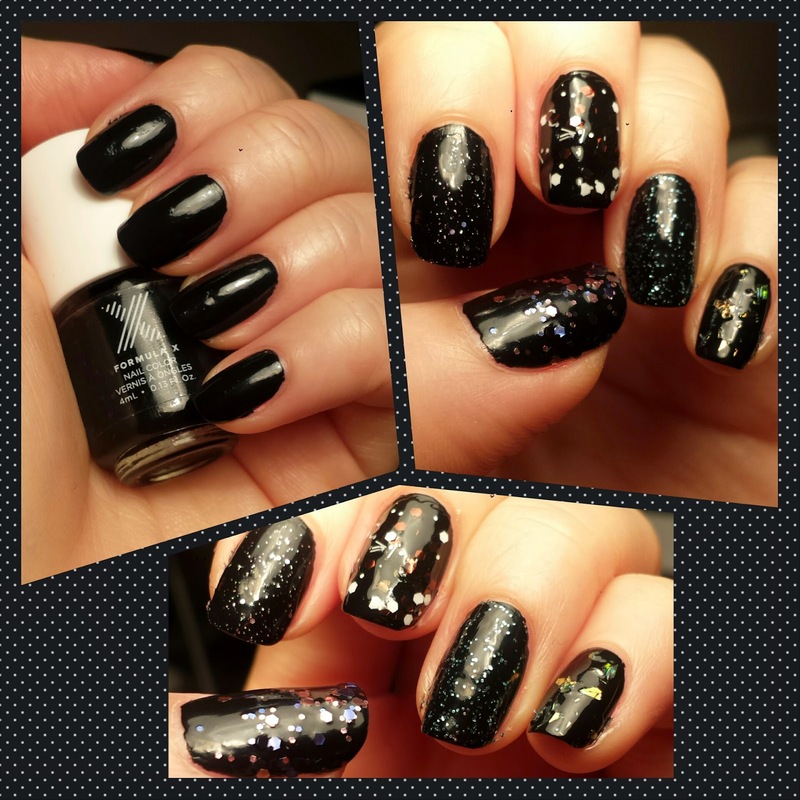 I think it can be quite fun to mix it up using different ones in one manicure, because sometimes you just can't pick ONE out from your collection, right?